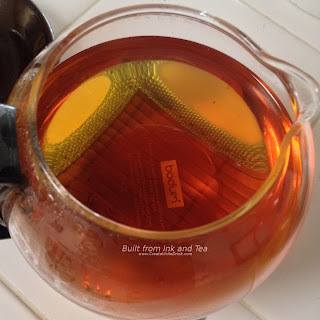 Surprisingly, we have never featured a tea from Upton Tea Imports, here on Built from Ink and Tea. I find this very unfortunate (and entirely my fault! ), given that Upton Tea Imports sources a great many teas and tea blends from around the world. Today's blend mixes black tea, actual mango bits, sunflower petals (mostly for color), and some artificial flavors for a slightly-tropical tea blend that reminds me of summer (a nice follow-up to last week's review of the Imperial Breakfast Summer Blend). 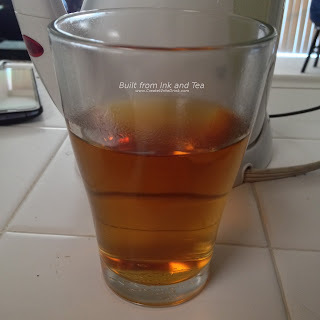 Boiling some filtered water, I measure two teaspoons of the tea blend into the filter of a two-cup teapot (one teaspoon of leaf for each cup). When the water finishes, I pour it over the leaves and let it steep for four minutes. The dry leaves smell of sweetened mango and light black tea. Brewing, the tea's aroma lacks such heavy sweetness, but the mango and black tea blend together well. The first sip of Mango Indica tastes of pleasantly-flavored black tea. This bring a smile to my face. As much as I enjoy heavily-flavored, fruit-centric teas, I often find that the fruits (and other flavors) entirely overwhelm the tea base. 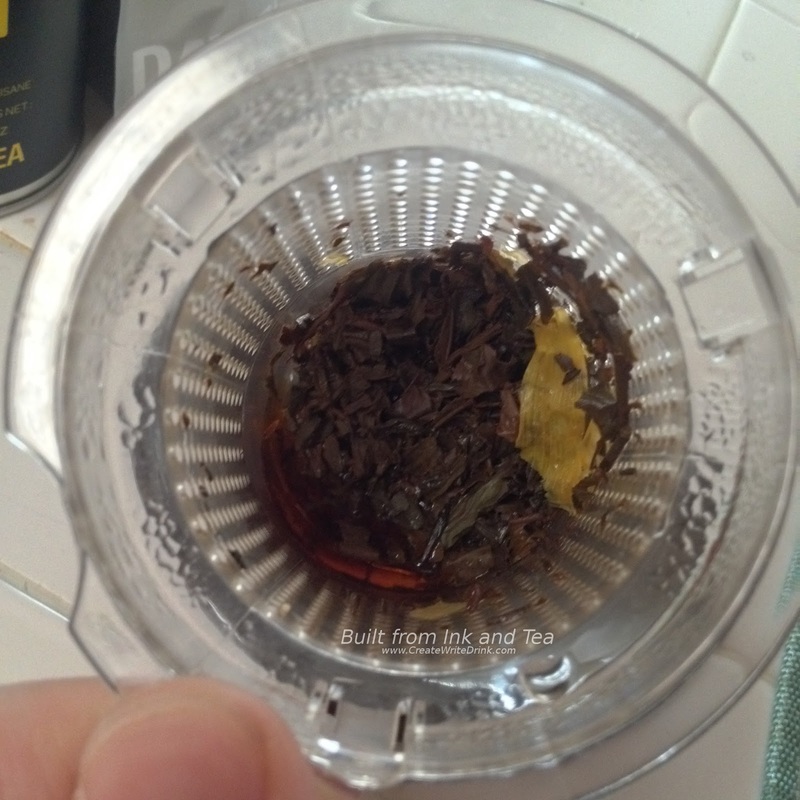 Mango Indica puts the flavor of the tea in the forefront. 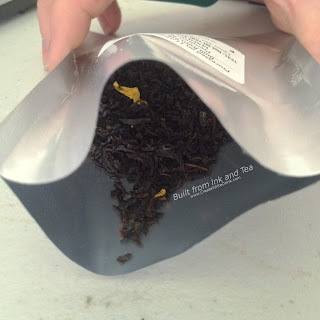 Mango flavors wreath the black tea, complementing what tastes like a light, Indian leaf. Four minutes of steep time was perfect to craft this smooth, easy-drinking cup. I could see this making a delicious iced tea. The mango proves quite refreshing, regardless of whether the tea is brewed hot or cold. On my personal enjoyment scale, I would rate Mango Indica a 95/100. Upton Tea Imports' Mango Indica is available from their website, here.